Before opening his own real estate brokerage, Lawrence Batiste honed his well-rounded management and entrepreneurial skills in other industry areas including the highly competitive fast food industry where he served as District Manager, launching a commercial janitorial company, among other business ventures. 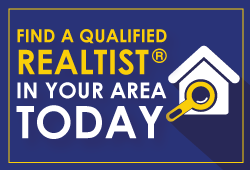 In 1997, after working for several Century 21 offices, Lawrence Batiste launched his own real estate brokerage located in Riverdale, GA. His professional credentials are many including recognition as a seasoned and experienced REO Specialist, in addition to being certified as a Housing Counselor. Mr. Batiste’s service to his profession includes as chairman of NAREB and as past President of the Empire Board of Realtists, formed in 1939 to ensure equality in housing and the real estate profession for minorities. Since that time, he has served in many different capacities within NAREB where he has made a difference as National Convention Chair, service on the Executive Committee, the Board of Directors, and now as Chief of Staff. While still managing Batiste Premier Realty and NID Atlanta Metro a Housing Counseling Agency. He has earned the respect of his peers, clients, and the community by conducting his personal and professional life in an admirable fashion.